The Shutter Shop, based in Georgetown, SC, is a one-of-a-kind shutter manufacturer that produces everything in house, from cutting to painting, you can be sure their shutters are custom made. That is why InterCoastal Net Designs is the perfect web design firm for this project, we understand the importance of a custom job from start to finish. Everything is completed by The Shutter Shop in house: concepting, cutting and painting! 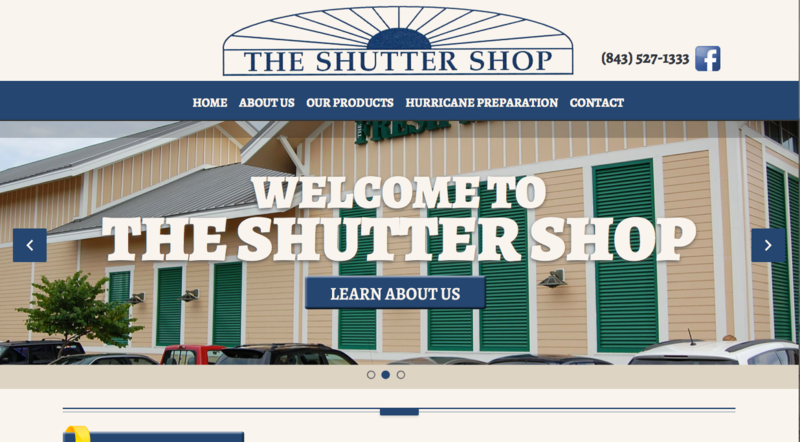 We started with a unique and custom design for The Shutter Shop as the basis for this website that features a responsive design and full content management system. Both responsive design and the content management system make this a very usable website for our client and their potential clients as well. Their product line includes, but is not limited to, both interior and exterior shutters, kitchen cabinets and specialty products such as wooden monograms. Don’t let the name fool you, they can literally do it all! We encourage you to check our client out if you’re in need of shutters for your new home or business. Interested in a custom site for your company? Contact our team today!